Why Should You Buy Your Engagement Ring On Samuels Jewelers In 423 Words? You should buy your engagement ring on Samuels Jewelers, because Samuels Jewelers have an exclusive role in providing efficacy in suggestions and flawless perfection in craftsmanship. Providing custom jewelry as well as extravagant new designs to the showroom, the craftsmen at Samuels Jewelers are highly skilled. Samuel Jewelers is popularly renowned as the House of Lucky Wedding Rings, owing to its history and unbreakable oath of the Lifetime Guarantee for craftsmanship defects. All Samuels Jewelers are covered under this and you can approach the staff for any defect in the manufacturing anytime in the future and get a service for a minimal fee! All the precious metal that you purchase must undergo regular and unlimited cleanings, which should also cover in-depth inspection for break, wear or tear as well. As part of the lifetime trust and guarantee, Samuels Jewelers also provides a top class benefit of inspection and cleaning services as many times as you wish, all free of charge! As long as you own your diamond or precious gemstone jewelry, you may have it inspected and cleaned free of charge as often as you like under warranty. Samuels Jewelers aims to provide 100% satisfaction with 100% customers. For any reason, if the customer is not satisfied with the final product, he or she can return it within 30 days of purchase to avail a 100% refund on the item. Furthermore, SJ also provides a 90-day extended exchange policy, where the customer can apply for a replacement item within 90 days of the purchase. All customized, special and engraved orders cannot be returned or exchanged. SJ offers three shipping methods as Next Day Air, Standard Shipping and P.O Box Shipping. All the three are subject to varied costs from $6.99 to $19.99. Next day Air does not refer to next day shipment, but means that after shipping, the package is expected to take one day for delivery. For custom orders, the delay will be notified, same as for other orders that are not immediately in stock. An exclusive Samuel Jewelers protection plan, SIMPLR Plan refers to one of the two protection plans chosen by a customer when ordering- Lifetime Jewelry Plan or 3-Year Jewelry Plan. Why shouldn’t you buy your engagement ring on Samuels Jewelers in 186 words? You should not buy your precious wedding jewelry at Samuels Jewelers because, first you will not find the right staff who will enthusiastically assist you or receive the order at the right time! With most of the negative comments quoting extremely late deliveries that never showed even after 6 months, the assurance of whether your dream ring will remain a dream or not is unsure when you shop with SJ! Yet another misdemeanor of the staff to most of the direct buyers was vehement rudeness. The few negative reviews we found, quoted that the staff were unresponsive about acknowledging the presence of the customers while in the store. Additionally, handful of verified purchases also reported poor quality of their material. However, as Samuels Jewelers has an extended lifetime warranty, the defects in craftsmanship is effectively taken care of. If you are a cost-efficient shopper who looks out for clearance sale items, you must remember to see if the item exclusively has refunds labeled on it. The company states that items under clearance sales are not subject to the grand exchange and return options that SJ provides. Gitanjali Retail USA, The Company, a part of the DeBeers site holder company (Digicogroup.com), operates 101 jewelry stores in 21 states across the USA under the brands of Samuels Diamonds, Samuels Jewelers, Schubach Jewelers, Rogers Jewelers and Andrews Jewelers. We have 66 Samuels, Schubach and Samuels Diamonds stores in 15 states, and 35 Rogers Jewelers and Andrews Jewelers stores in 10 states. Samuels Jewelers, Samuels Diamonds, Schubach Jewelers, Rogers Jewelers and Andrews Jewelers sells contemporary and uniquely styled fine jewelry in a quality shopping environment targeting customers who desire an upscale shopping experience. We strive to provide the best value in terms of merchandise quality, price, selection, and satisfaction delivered by knowledgeable associates empowered to exceed the customer’s expectations. Started in 1891 by the name of ‘House of Lucky Wedding Rings’, with a legendary slogan that ‘Jewelry bought at SJ is the seal that the couple will be married forever’. Isn’t that what every bride and groom wishes for? Standing beside the Samuels Jewelers Clock since the 19th century, SJ is currently one of the sought after jewelers, online and offline across the globe. Started in San Francisco, Samuels Jewelers has a rich and extravagant history with wedding diamonds. 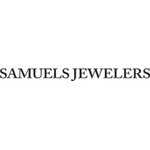 Another historic story, repeated by Samuels Jewelers is that, Albert Samuels, the second to the reign of the jewelry, came across a customer who was charged for a repair of the jewelry bought from the same store. As Albert did not know the customer’s name, he went the extra mile and posted the plea to the customer in the ‘San Francisco Chronicle’ to return to the store and reimburse the repair payment. Customer care is penultimate among the staff and the founders, at Samuels Jewelers! A renowned jeweler with a powerful foundation in the worldwide diamond industry, Samuels Jewelers is known as the geezer with Blessed Wedding rings. With many legendary stories about the quality and efficiency of SJ’s craftsmanship, customer service is at its epitome when you shop your wedding jewelry at Samuels Jewelers. The diamonds at Samuels Jewelers are certified to be conflict-free and hence, acquired only via legitimate sources. All SJ Diamonds are in compliance with the UN Resolutions with a certificate of proof provided with the diamond. SJ offers multiple payment methods via PayPal, Credit Cards, Diamond Elite Credit Card, and even through Checks. Clubbed with the multiple shipping options for express delivery as well as standard shipping, which delivers in 2-3 days, SJ also offers P.O Box shipping for all its customers. Unlike most online diamond wedding ring sellers in the market, Samuels Jewelers also offers free-return shipping label, for the customer to ship to return or exchange the product, easily. If you cannot find the label on your original package, contact the customer care to receive another label to ship free of cost, immediately. All credit returns takes up to 6 weeks to process the return refunds, regardless of being full or partial funds. Samuels Jewelers provides 100% refund on products returned within 30 days or 90 days besides the Lifetime Warranty. You can also choose one amongst the two SIMPLR product protection plan to insure and secure your precious jewelry with SJ. Additionally, Samuels Jewelers also offers diverse modes of payment including 6-months of 5-year Payments with Diamond Elite Card. The cardholders also receive exclusive invitations, notifications, reminders, saving offers, holiday discounts, monthly installments and online management of the account without hassles. The card is offered by Comenity Bank. Apart from the thousands of positive online reviews form verified SJ customers, we also found that BBB rates Samuels Jewelers as A+. The company has faced 34 complaints on Better Business Bureau over the past three years and has successfully closed all, with a rate of 10 in the past one year. Is Samuels Jewelers a Fraud? Definitely Not. Samuels Jewelers is a trustworthy and experienced jewelers with vast knowledge and superior skills in crafting diamond wedding rings. On BBB, the maximum complaints were against the quality of the product, all of which has been duly resolved and reimbursed by the company. We also found that, reviews on major sites like trustpilot, Wedding Wire and yelp emphasized that customers were proud to have shopped with SJ. According to our keen diamond expert eyes, Samuels Jewelers is an honest, experienced and incredibly talented wedding jeweler with a rich history and richer designs to its name, by date. We are proud to uphold the credibility of Samuels Jewelers for all those who wish to shop blessed wedding jeweler for their special day. Set in proportionately contrasting colors, navigation on Samuels Jewelers site is easy, pleasant and informative. The highly user friendly website also provides multiple tabs on Diamond Buyer Education as well as in-depth report on the products. Samuels Jewelers has many varieties of wedding jewelry to choose from. One can choose from parameters like Budget, Color, Stone, Metal as well as Jewelry type, when shopping for gorgeous engagement rings. Customers can either email or call the diamond geezer to confirm an order. The toll free number is (877) 388-1836, while the mailing requests are processed via the contact forms, which are answered in less than 2 hours as well! Payment: Via Credit Cards- Maestro, VISA, Master, Discover, Check, Diamond Elite Credit Card or PayPal. Insurance: You can avail Lifetime or 3Year Jewelry Care Plan to insure your product. Returns: 30-Day Money Back policy for 100% refund and 90-Days Exchange Policy. Trade-up Lifetime Privilege: SJ offers trade-up lifetime privileges where the original online purchase amount is added towards the next diamond buy effortlessly. However, the new purchase must be 2x Original Purchase with a valid receipt of sale.